Currently, most climate policies focus on the international and national level efforts. The international and national levels may set a strategic orientation, but the real effect of the strategies would be made through local actions. Cities and municipalities are the core of actions to cope with global and local environmental problems. In response to these problems, the cities are increasingly taking a strategic approach to climate changes to implementing overarching and systemic changes, by redesigning and reconfiguring the infrastructure networks through which energy is produced and consumed. Primarily, innovative technology, including those associated with smart city and smart-grid, force the local government to reconsider the different levels of technical capacities between them and industries. This study focuses on Yokohama city as a case to illustrate an ambitious energy technology innovation programme at the city-wide scale. 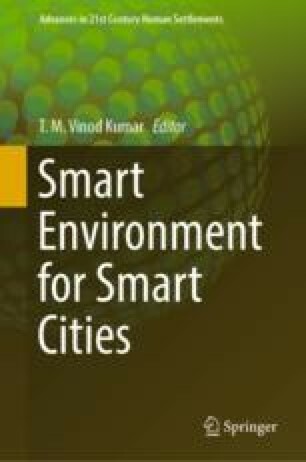 It can fill the research gap of elaborating the Asian example of public-private sector cooperation, whether and how the allocate resources and expertise to deliver and experiment smart city as a green tech innovation. The authors are grateful to United Nations University Institute of Advanced Studies, especially Dr. Csaba Putzai, to assist research, and Dr. Haruka Okada from University of Australia for her help on this work. Dr. Andrew Blok from University of Copenhagen, last but not least, is highly appreciated for his professional suggestions and comments.